The SHA Registry of Casual Workers was launched in July 2011. The onlineportal was set up by the SHA with the support of the Employment andEmployability Institute (e2i). The objective was to provide hotels with a pool of casual workers to augment manpower in the hotel industry. Retirees, students, housewives or anyone interested in casual work job assignments are invited to sign up with us on our Registry. 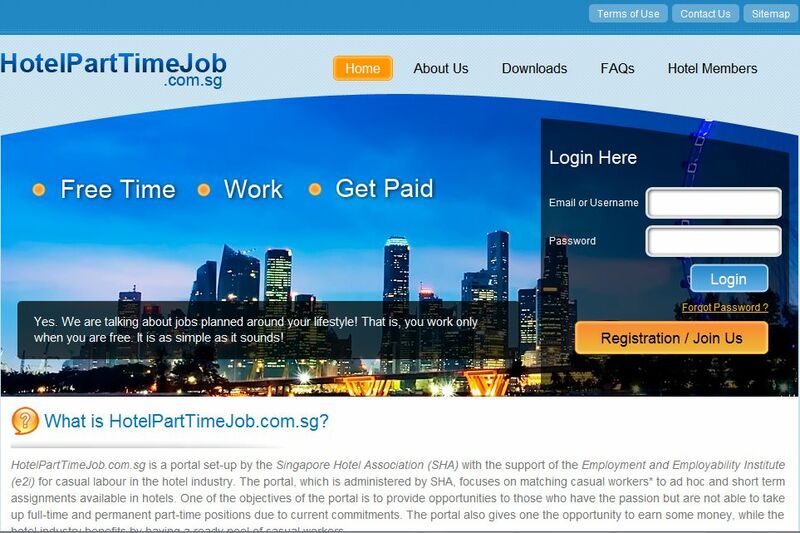 To find out more about the SHA Registry of Casual Workers, come visit us at www.hotelparttimejob.com.sg.